Oil trading largely differs from currency trading, and for that matter, trading in any other markets. 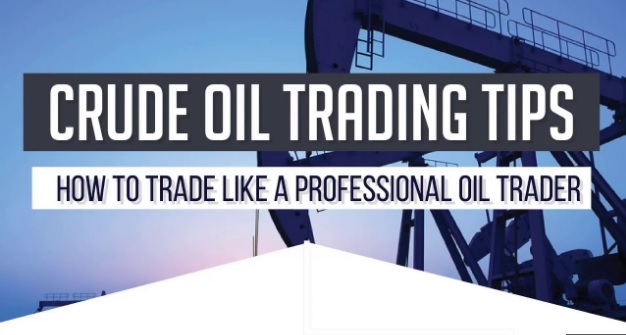 The mistake many traders make is treating oil trading, whether Crude Oil (US or WTI Oil) or Brent Oil (the UK or XTI Oil), the same way they would handle other commodities they access through their broker. Considering a variety of other factors, among them fundamental analysis, is recommended for traders looking to succeed in oil trading; unless of course they are only looking to gain a few points from the markets, or are focusing on intraday trading over the long term. Here, we will shed some light on what traders should keep in mind as far as successful crude oil trading is concerned. Since crude oil prices are quoted in US dollars, the currency is considered to be the most important factor traders should keep in mind. The daily pricing of Crude Oil is highly influenced by the US currency’s exchange rate simply because it’s used Crude Oil pricing. To illustrate this, Crude Oil prices usually increase with a decrease in value of the currency; while an increase in value, on the other hand, results in lower prices. Traders should have in hand, the US Dollar Index chart so as to be able to establish the movements in the value of the US Dollar. This way, they can apply their results in Oil Trading, after performing technical analysis based on the US Dollar Index. Remember to consider macroeconomic factors influencing the movements in the US Dollar Index, in addition to technical analysis. Traders need to keenly follow demand and supply trends in the oil markets so as to maintain their success in oil trading. The forces of supply and demand, just like in any other market, are the main drivers of the movements in the oil market. With regard to oil trading, however, traders are required to follow supply changes both at the international and domestic level. Domestic supply simply refers to local production in the US market. The discovery of Shale Oil has led to a significant increase in the market share of the domestically produced oil even though the crude oil imports still account for a larger share. Some of the resources that traders can use to get a better understanding of the oil market, with respect to supply figures include market reports such as the weekly US Crude oil inventories and the Baker-Hughes Oil rig count. The Middle-East still has a huge influencing role as far as global oil exports are concerned, even with the gradual reduction of crude oil imports into the US. This continues to be the case due to their status as the main suppliers of oil to most of the world’s largest economies including Japan, India, Russia, and China. As such, any instability experienced in the Middle-East is bound to see oil prices instantly shoot upwards. Regardless of how hard it is to always be in the know, traders should strive to be well informed of the risks affecting oil markets and oil trading as a whole. To be able to manage their level of exposure to the risks in oil trading, especially when they are trading on the long term with huge open positions, traders should stay abreast of what is happening in the news. This post from Orion is very interesting for anyone who has an interest in this area. In conclusion, a large number of traders find oil trading to be quite rewarding; however, they often make the wrong trading moves by directing all their attention to the technical analysis process or the trading systems in use. Were they to take the time to understand how the oil markets work, and by a higher degree the factors behind the daily fluctuations in prices, traders would, in fact, be at an advantage as far as successful oil trading is concerned.